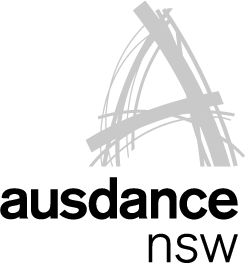 Arts Northern Rivers is thrilled to have partnered with Dance Integrated Australia and The Farm to provide scholarships for two emerging dancers in the early stages of their career for a residency opportunity at the third annual Corner Dance Lab from 15 – 23 January 2016 in the Byron Bay Hinterland. The two scholarships have been awarded to Amrita Hepi, a descendant of the Ngapuhi tribe in Northern New Zealand and the Bundjulung people in Northern New South Wales, and Tyrel Dulvarie, who is a descendant of the Yirriganydji and Mamu people of Cairns and Innisfail. The Indigenous Residency Scholarship is a new initiative for The Corner Dance Lab and Arts Northern Rivers, which celebrates and promotes diversity in Australian contemporary dance. The scholarships valued at $1500 are funded by Arts Northern Rivers and cover travel, accommodation and registration fees for two emerging Indigenous artists in the first three years of their dance career to participate in the 9-day dance lab held on the NSW North Coast. The Corner Dance Lab engages renowned teachers that instruct daily routines, practice, ideas and experiments for an intensive program encompassing technique classes and improvisation to Yoga and choreographic practice. The Corner Dance Lab attracts national and international artists from diverse backgrounds, different embodiment and life experiences who want to challenge themselves to work in an inclusive dance environment. Amrita Hepi is an emerging independent choreographer and performance artist descending from the Ngapuhi tribe in Northern New Zealand and the Bundjulung people in Northern New South Wales, Australia. She has performed at the Museum of Contemporary Art (MCA) alongside Tony Albert and Richard Bell for Blak Christmas and will next year perform at Next Wave Festival. Hepi attended Macquarie University where she undertook a Bachelor of Arts with a major in Dance and attended NAISDA in 2014 before travelling abroad to train independently in New York at Alvin Ailey American Dance Theatre and Broadway Dance Centre. Tyrel Dulvarie, who is soon to star along side Hugh Jackman in the upcoming production of Broadway to Oz, is an ACPA graduate currently training with the Sydney Dance Company Pre-Professional Year. He comes from a diverse cultural background with Malaysian, Aboriginal and German heritage.